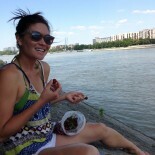 Tip of the Day: Cleaning up Fish Guts | eat. write. smile. 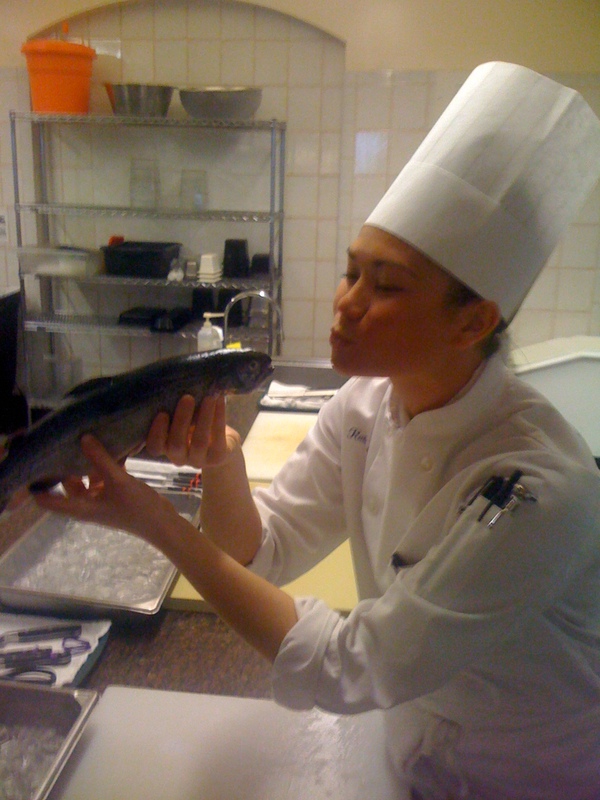 Today’s tip: When scrubbing down countertops covered in fish scales, guts, and slime, be sure to use plenty of soap and water but DON’T scrub so vigorously as to splash your chef instructor with fishy soap scum. Invariably, he will not be amused by your hurried cleaning, and he will use the word “demoted” to refer to your kitchen status post gaffe. True story. Aside from my total shank on the clean up, I really enjoyed Fish Fabrication today. 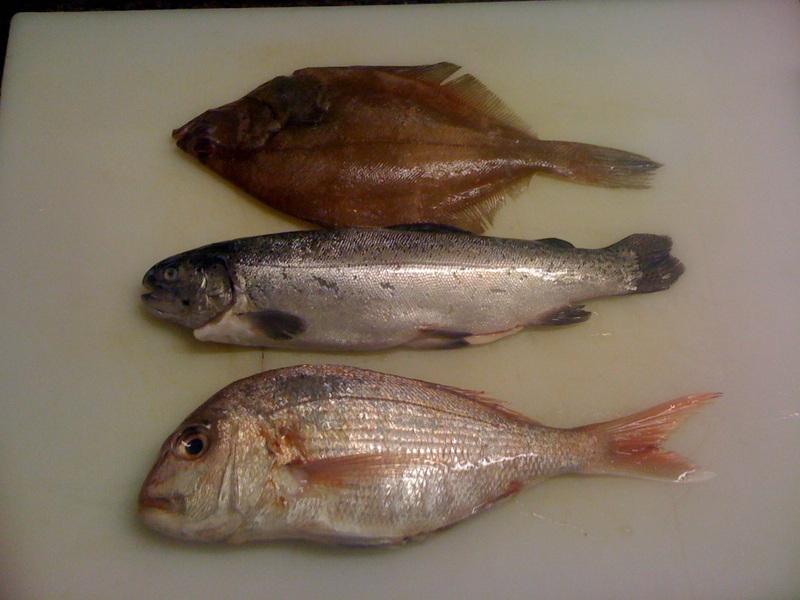 We cut, from the top to the bottom of the cutting board below: flounder, trout, and Thai snapper. 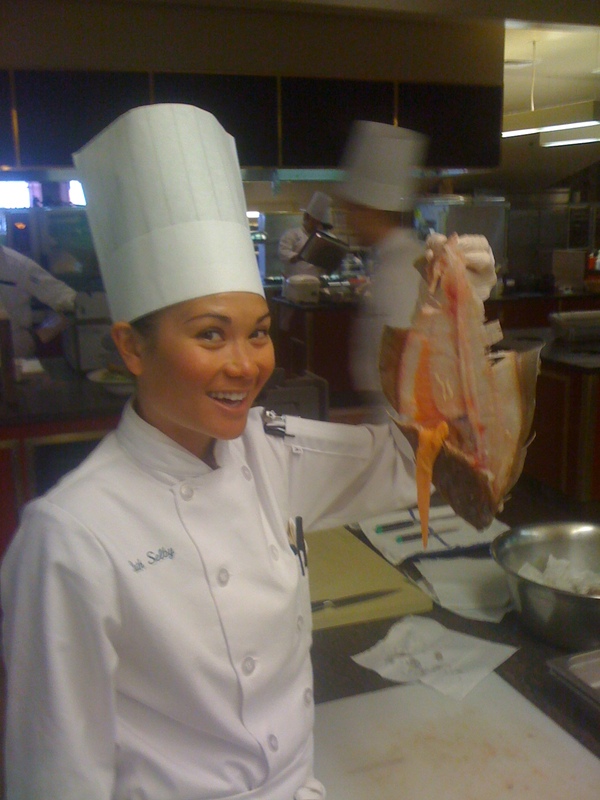 Here I am with my filet’ed flounder. Lastly, I get a little fresh with the trout. He was making big eyes at me; I had to! This entry was posted on March 18, 2010 by Ruthie in Uncategorized.